The Moonbats are still flying around today, not understanding that while we welcome diverse viewpoints we have lost all toleration for those who habitually argue about things they do not understand, cannot express a coherent viewpoint, quickly resort to personal attacks when the facts of the argument are against them, and who claim tolerance while regularly shouting down those who disagree with them. Perhaps one day the Moonbat we faced today will understand why she is banned from so many sites and ostracized by those former allies she has stabbed in the back. Special commendations to KJ who took the brunt of the Moonbat attack while I was working, and yet also seeks to restore the good name of Moonbats as Robert A. Heinlein envisioned them. As I compare the views of others, I ran across this Worldview Quiz (hat tip to Pharyngula). 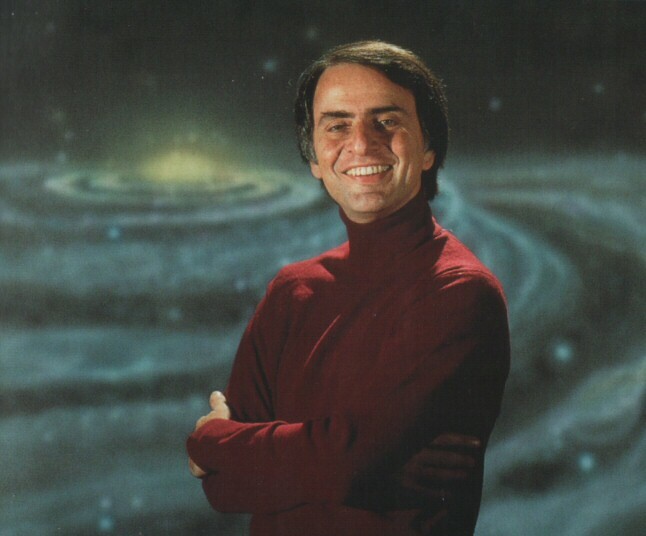 I score at ten on both the Progress and Science scales, placing me with Carl Sagan. If I had seen this chart before taking the test I could have saved the time as I’d have no doubt which of these people I’d score with. Not surprisingly, George Bush, Osama bin Laden, and Pat Robertson are all clumped together at the other end of the chart. In keeping with a discussion earlier where I contrasted the Dalai Lama’s attempts to reconcile science with religion with Deepak Chopra’s anti-science writings, I note that the Dalai Lama is significantly closer to Carl Sagan and I than Chopra is. You’re concerned about the state of education, especially science education. If you were able to teach every person, what would you want people to believe? Not everybody can evaluate all evidence; we can’t evaluate the evidence for quantum physics. So it does have to be a certain amount of taking things on trust. I have to take what physicists say on trust, for example, because I’m a biologist. But science [has] a system of appraisal, of peer review, so that I trust the physics community to get their act together in a way that I know from the inside. I wish people would put their trust in evidence, not in faith, revelation, tradition, or authority. That is staggering ignorance of what evolutionary science is about; if they think that’s what evolutionists believe, no wonder they’re skeptical of it. How can a civilized country have adult people in positions of leadership who know so stunningly little about the leading biological concept? Support for the Republican-led Congress has eroded to its lowest point since the party’s watershed 1994 victory that brought it House and Senate majorities. A new Wall Street Journal/NBC News poll illustrates the political toll Republicans are paying for rising discontent over the Iraq war, as well as a spate of scandals including the disclosure that Republican House leaders knew of inappropriate emails to House pages from Florida Rep. Mark Foley, who resigned late last month. Voters’ approval of Congress has fallen to 16% from 20% since early September, while their disapproval has risen to 75% from 65%. Half of independents say they want Democrats to take charge, while only a quarter of them back Republicans. “It’s very unusual to see a majority of independents pick one political party,” notes Bill McInturff, the Republican pollster who conducts the surveys with Mr. Hart, his Democratic counterpart. Two-thirds of the electorate rates this year’s Congress “below average” or “one of the worst” — the poorest showing on that question since it was first asked in 1990. Mr. Bush, who in the past typically drew high ratings personally even when his job-approval scores sagged, now is viewed negatively by a 52% majority — essentially tying the worst rating of his presidency. As for the Republican Party, 32% of voters rate it positively but 49% negatively — the highest negative ever in the surveys for either party. On the other hand, the Democratic Party’s reputation improved. After months in which it had a net negative rating only slightly better than Republicans’, the party now is viewed positively by 37% and negatively by 35%.